ORC is now caring for approximately 175 birds! We did 9 intakes today alone. We have taken in Great Horned Owls, Red-tailed Hawks, Red-shouldered Hawks, Cooper's Hawks, American Kestrels, Barn Owls, Western Screech Owls, American Crows, Ravens as well as Black Crowned Night Herons, Mocking Birds, Woodpeckers, Phoebes, Mallard Ducklings, Hummingbirds, Band-tailed Pigeons, Scrub Jays and many other songbirds. Our hospital has been very full with the youngest and most critical intakes. 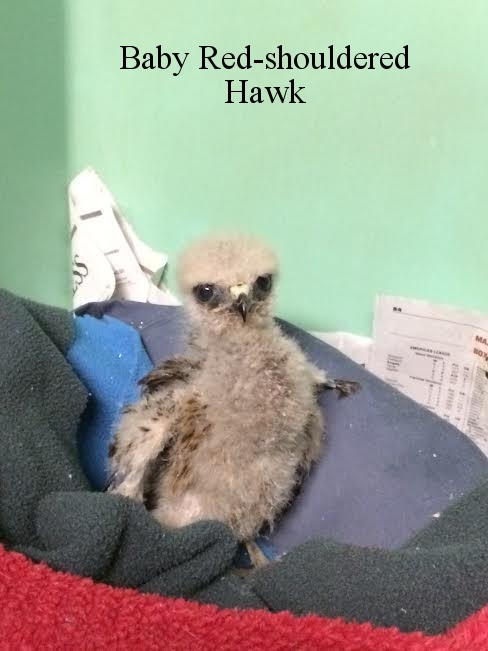 In the hospital we take extra care to limit human interactions with the young birds while at the same time getting them the care they need and observing their behavior. Some birds need to be tube fed every 2 hours, others need medical procedures such as suturing, physical therapy or washing. 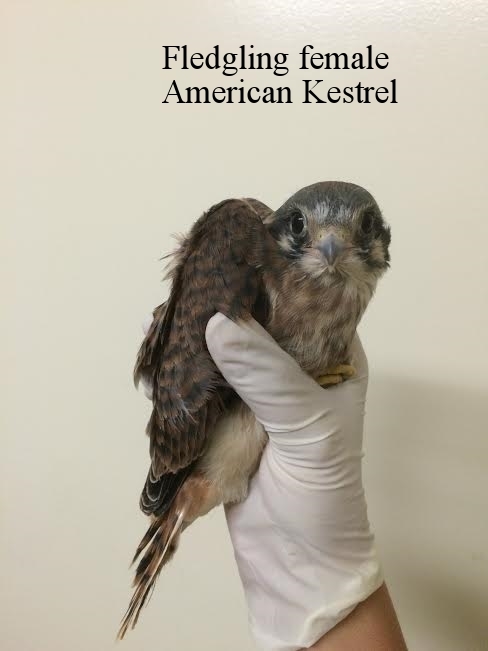 Everyday every bird is reassessed so it can progress through the stages of growing up in captivity in preparation for release back to the wild. 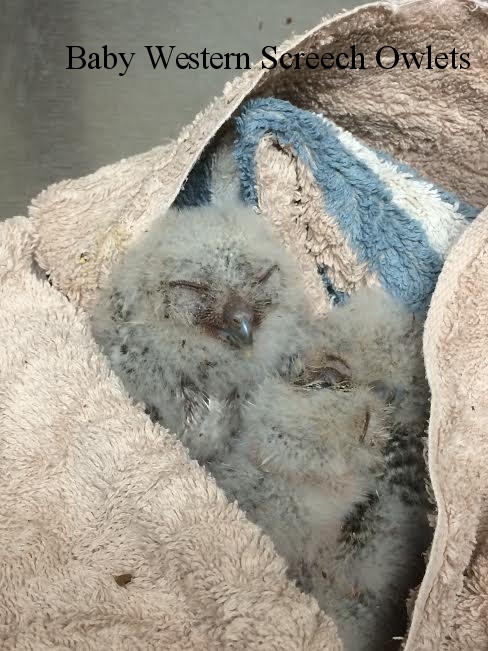 Over the next couple of months nestling and fledgling birds will move from the hospital and then to several stages of mews and flights- during this time they will learn the skills necessary for life in the wild. These skills include- finding food and hunting, learning to fly, and learning to communicate with their species. 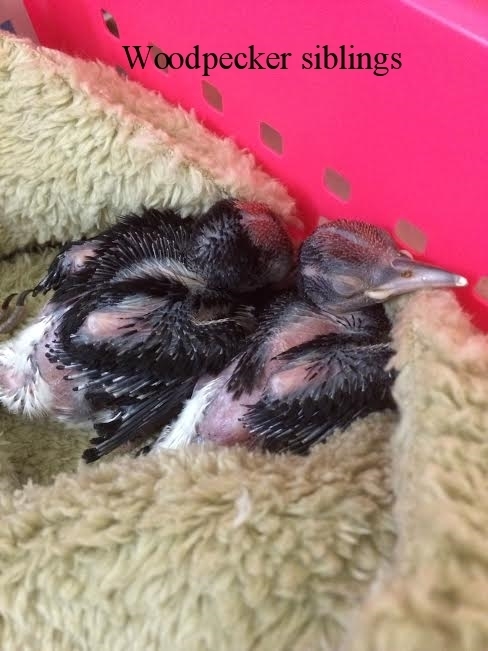 Most all of our fledgling or nestling patients spend very little time alone (24 hours at most) they will always be put with their same species as soon as possible in order to grow and learn with each other. Our goal is to raise independent birds that have a very healthy fear of humans and this means keeping them with their own species and limiting human contact. Birds are released only when they have passed several hunting and flight tests. We are going through a ton of food, medicine and other supplies! This is the time of year to donate if you can! Older PostNESTING NEWS: NEST WEBCAMS!